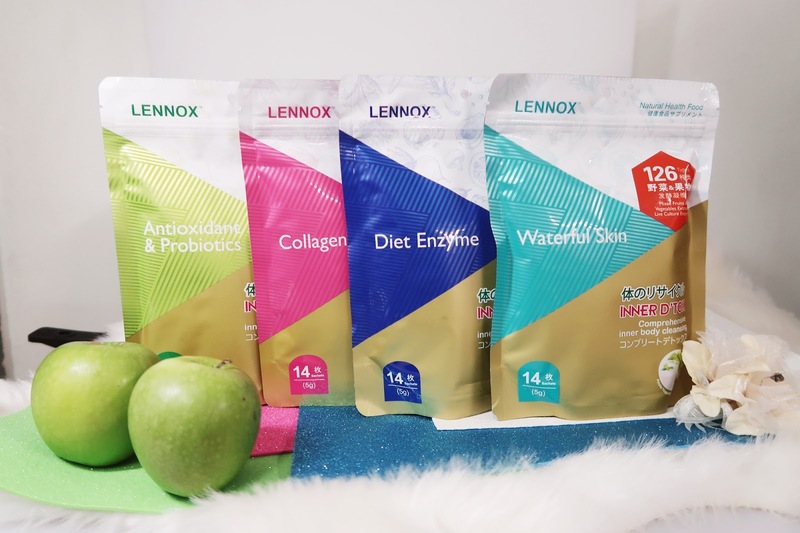 Do You Know That Enzyme is proteins that taking care of chemical balancing in our body? What if Our Body Without enzymes? Without Enzymes, our body metabolism rate and cells renewal will be affected. And Enzymes in our body decline naturally by age as early as 20 years old. 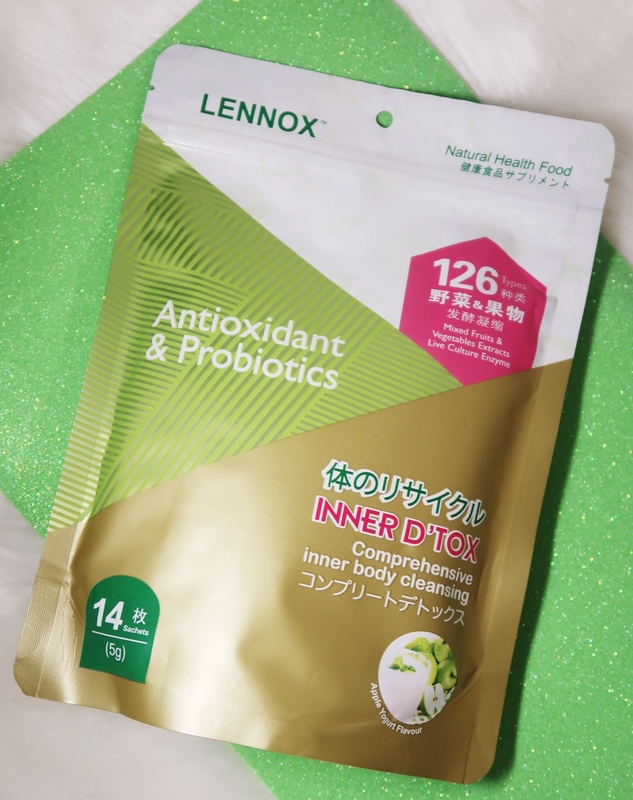 Today I am sharing with u, Newly Launched Lennox Inner D'tox Natural Health Food! 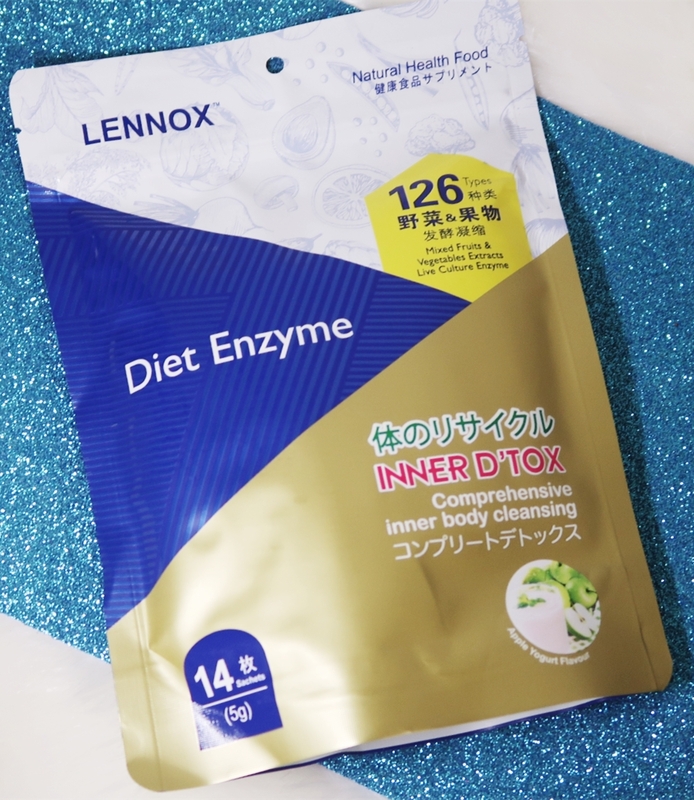 A supplement product that Comprehensive Inner Body Cleansing, Nourishing Skin at the same time! 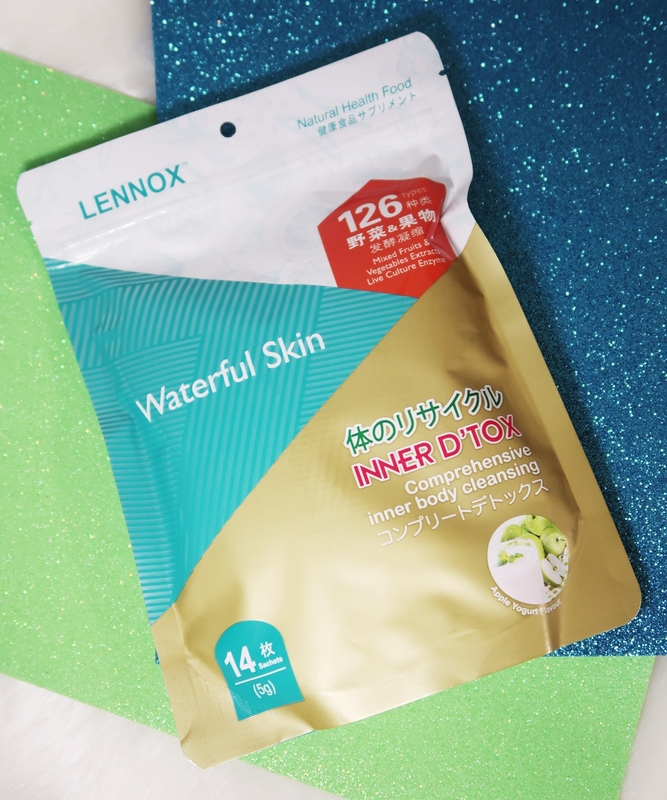 Waterful Skin means more towards Hydration & Nourishing Skin! with Rice Ceramide that plumps the skin & holds moisture. 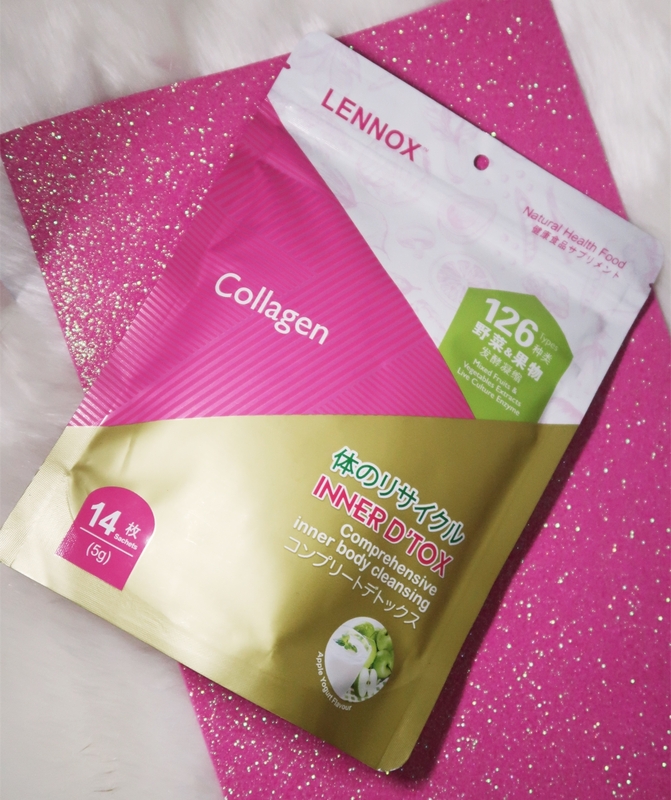 you definitely need this because it contains 3000mg of aqueous Marine Collagen that enhances skin radiance & brightens. I think Most of the Girls by Looking at the name of the product is kind excited right! 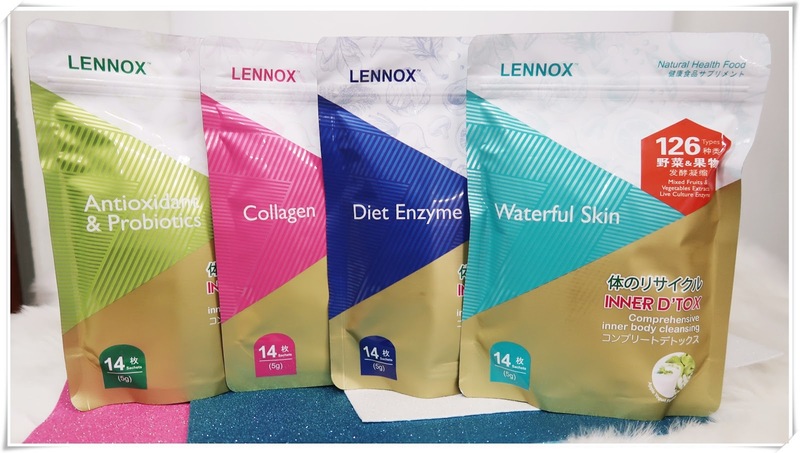 All Above Lennox Inner D'tox Enzyme Products Contain 126 types Mixed Fruits & Vegetable Extracts Live Culture Enzyme! Very Easy to Consume, Open The Sachet, Pour into your mouth straight! no need any shaker, water to mix it! It tastes very good, really taste like apple yogurt and melting in your mouth. You can get it Online via www.watsons.com.my.